I've been doing a ton of interviews with companies who have applied to the 2018 MergeLane Funderator -- a seven-day program comprising three days of Conscious Leadership Camp and 4 days of mentorship with our extraordinary mentor network. We are leveraging the Funderator to build relationships with prospective investable companies that have at least one woman in leadership. Hey, there's still time to apply for the November 26th - December 2nd session. Go do it. We'll wait. 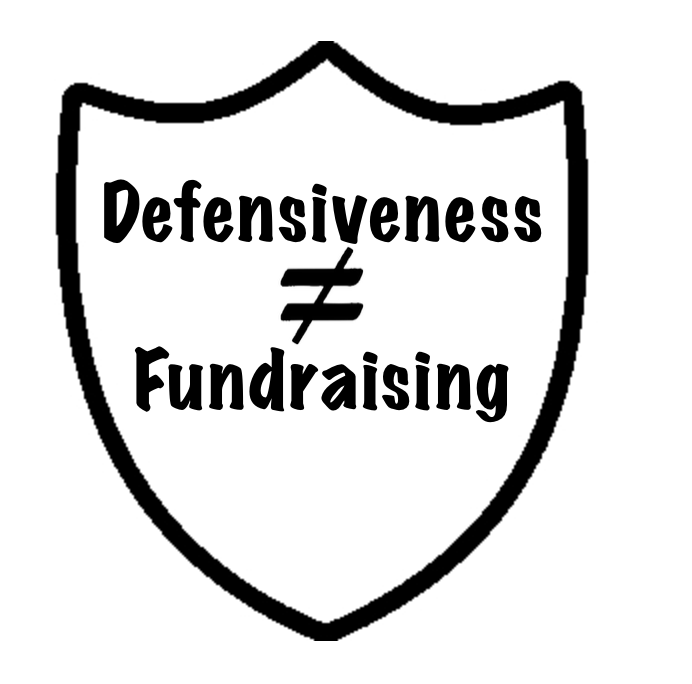 In one of yesterday's interviews, I heard something I have heard in many fundraising pitches. Something about this instance -- either the way it was presented or the fact that I'd finally hit my limit -- prompted me to say something about this. Here's what I want to say: Fundraising for startups is hard. It's hard for everyone. It may be harder for some people for various reasons, but if you concentrate too much on the aspects that are immutable (not changeable), you will miss chances to discover weaknesses in your pitch and in your business. Defensiveness is the enemy of curiosity and learning. That's a horrible equation for successful fundraising. Here's what happened: At the start of the call I asked the startup CEO how fundraising was going. She replied: "Well, it's hard. It's hard for three reasons. I'm a woman, I'm Asian, and I'm in tech." What I want to share with entrepreneurs is that as soon as I heard this string of reasons (I typed and deleted "rationalizations"), my energy went down about this company. First, she was telling me that she was getting turned down by a lot of investors. Although I work hard to avoid influence or "social investing," if I've been told at the start of a call that there have already been a bunch of "no's," my interest isn't exactly piqued. Second, even if I believe that she is right -- that it is difficult being a woman of Asian origin in the VC world -- I still believe that persistent entrepreneurs will fight like heck to overcome those biases. Third, and most importantly, as I listened to this pitch, I found a number of core issues with the company's strategy. I posed questions and got pretty defensive answers. I felt a lack of openness to feedback, a few things I perceived as key misses in the approach the company was pursuing. The misses happen and often prompt great mutual conversations. The defensiveness, on the other hand, ends conversations. Eventually I laid back, gave up on providing the full range of my feedback, and allowed the time of the meeting to wrap so that I honored my commitment to her for the interview. Guess what. She missed what might have been helpful insights. She blocked them. And I imagine it's not the first time. This leads me to a theory: If you are putting a lot of your attention on the difficulty of fundraising for people with characteristics you can't change, you are making fundraising even harder, and you are potentially missing changes to face the issues in your business that you CAN change.